One of my closest friends just asked me if I give my kids fish oil. He sent me a link to a video that was ripping on fish oil. It completely shocked me. Based on two studies, the writer implied that fish oil was bad for everyone. One of the studies was of poor quality fish oil products in New Zealand and was unpublished. The other questioned how well fish oil prevented second heart attacks in diabetics on multiple medications. Yes, I do give my kids fish oil. Mind you, my son loves oysters and sardines, and my daughter loves sushi. Nonetheless, I consider it cheap insurance for their brains. A mackerel a day might keep the doctor away, but even kids who like seafood can use a little extra. As an athlete in recovery, I also take fish oil. It’s been shown to reduce delayed onset of muscle soreness and allow for faster recovery from exercise. It’s also been shown to lower inflammation, reduce muscle damage, and improve metabolism. That means I get more out of exercise, recover faster, and am less apt to get sick or injured. As a doctor who gives medical advice, I definitely recommend fish oil. A group of Harvard researchers did a comprehensive review on the top 12 preventable causes of death in the United States. The eighth most powerful way to reduce your death risk was to consume adequate amounts of omega-3 fats. The average American consumes only 100–200 mg of omega-3 fats. Most experts recommend a minimum of 500–1000 mg daily for basic health. For general health maintenance, I recommend 1000 mg of combined EPA and DHA. Dosage ranges for some conditions above were from 1000–20,000 mg.
How do you take fish oil? Since the nutrients in fish oil are fat soluble, fish oil is best absorbed with a meal. The time of day is not important, and fish oil can be safely taken with other non-prescription compounds. Check with your doctor or pharmacist regarding combining fish oil with prescription medications. 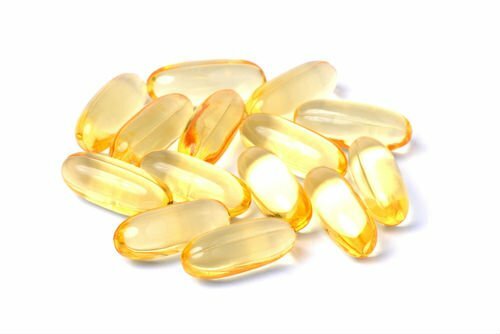 What types of fish oil are best? The triglyceride form is preferred over the ethyl ester form since it’s easier to absorb and less apt to form free radicals. Better types are distilled, filtered, and tested for contaminants like heavy metals, PCBs, and organopollutants. What about omega-3 oils from algae, krill, or calamari? These are safe and may be effective. The main disadvantage is they are less cost effective. Case in point: Krill oil averages 12 times the cost of fish oil in terms of cost per mg of EPA. Most krill oil products require 10-20 gel caps for one day’s dose. Stonehouse W, “Does consumption of LC omega-3 PUFA enhance cognitive performance in healthy school-aged children and throughout adulthood? Evidence from clinical trials,” Nutrients, 2014 Jul 22;6(7):2730-58, doi: 10.3390/nu6072730. Yang H, Xun P, He K, “Fish and fish oil intake in relation to risk of asthma: a systematic review and meta-analysis,” PLOS One, 2013 Nov 12;8(11):e80048, doi: 10.1371/journal.pone.0080048, eCollection 2013. Imai Y, “Role of omega-3 PUFA-derived mediators, the protectins, in influenza virus infection,” Biochimica et Biophysica Acta, 2015 Apr;1851(4):496-502, doi: 10.1016/j.bbalip.2015.01.006, Epub 2015 Jan 22. Gow RV, Hibbeln JR, Parletta, “Current evidence and future directions for research with omega-3 fatty acids and attention deficit hyperactivity disorder,” Current Opinion in Clinical Nutrition and Metabolic Care, 2015 Mar;18(2):133-8, doi: 10.1097/MCO.0000000000000140. Miyata J, Arita M,”Role of omega-3 fatty acids and their metabolites in asthma and allergic diseases,” Allergology International, 2015 Jan;64(1):27-34, doi: 10.1016/j.alit.2014.08.003, Epub 2014 Oct 27. Lembke P, Capodice J, Hebert K, Swenson T, “Influence of omega-3 (n3) index on performance and wellbeing in young adults after heavy eccentric exercise,” Journal of Sports Science and Medicine, 2014 Jan 20;13(1):151-6, eCollection 2014. Mickleborough TD, “Omega-3 polyunsaturated fatty acids in physical performance optimization,” International Journal of Sport Nutrition and Exercise Metabolism, 2013 Feb;23(1):83-96. Danaei G, Ding EL, Mozaffarian D, Taylor B, Rehm J, et al (2011), ”Correction: The Preventable Causes of Death in the United States: Comparative Risk Assessment of Dietary, Lifestyle, and Metabolic Risk Factors,” PLOS Med, 8(1): 10.1371/annotation/0ef47acd-9dcc-4296-a897-872d182cde57. Bell GA, Kantor ED, Lampe JW, Kristal AR, Heckbert SR, White E, “Intake of long-chain ω-3 fatty acids from diet and supplements in relation to mortality,” American Journal of Epidemiology, 2014 Mar 15;179(6):710-20. doi: 10.1093/aje/kwt326. Epub 2014 Feb 3. 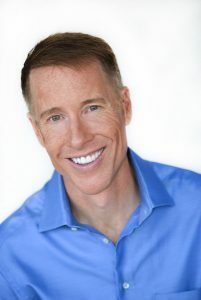 Buckley JD, Howe PR, “Long-chain omega-3 polyunsaturated fatty acids may be beneficial for reducing obesity-a review,” Nutrients, 2010 Dec;2(12):1212-30, doi: 10.3390/nu2121212, Epub 2010 Dec 9. Narla R, Peck SB, Qiu KM, “FPIN’s Clinical Inquiries. Fish oil for treatment of dyslipidemia,” American Family Physician, 2014 Feb 15;89(4):288, 290. Hankenson KD, Watkins BA, Schoenlein IA, Allen KG, Turek JJ, “Omega-3 fatty acids enhance ligament fibroblast collagen formation in association with changes in interleukin-6 production,”Proceedings of the Society for Experimental Biology and Medicine, 2000 Jan;223(1):88-95. Loef M, Walach H, “The omega-6/omega-3 ratio and dementia or cognitive decline: a systematic review on human studies and biological evidence,” Journal of Nutrition in Gerontology and Geriatrics, 2013;32(1):1-23, doi: 10.1080/21551197.2012.752335. Peanpadungrat P, “Efficacy and Safety of Fish Oil in Treatment of Knee Osteoarthritis,”Journal of the Medical Association of Thailand, 2015 Apr;98 Suppl 3:S110-4. Yang H, Xun P, He K, “Fish and fish oil intake in relation to risk of asthma: a systematic review and meta-analysis,” PLOS One, 2013 Nov 12;8(11):e80048, doi: 10.1371/journal.pone.0080048. eCollection 2013. Wu JH, Cahill LE, Mozaffarian D, “Effect of fish oil on circulating adiponectin: a systematic review and meta-analysis of randomized controlled trials,” The Journal of Clinical Endocrinology and Metabolism, 2013 Jun;98(6):2451-9, doi: 10.1210/jc.2012-3899, Epub 2013 May 23. Xin W, Wei W, Li X, “Effects of fish oil supplementation on cardiac function in chronic heart failure: a meta-analysis of randomised controlled trials,” Heart, 2012 Nov;98(22):1620-5, doi: 10.1136/heartjnl-2012-302119, Epub 2012 Jul 3. Wei C, Hua J, Bin C, Klassen K, “Impact of lipid emulsion containing fish oil on outcomes of surgical patients: systematic review of randomized controlled trials from Europe and Asia,” Nutrition, 2010 May;26(5):474-81, doi: 10.1016/j.nut.2009.09.011, Epub 2010 Jan 29. Yang H, Kenny A, “The role of fish oil in hypertension,” Connecticut Medicine, 2007 Oct;71(9):533-8. Jans LA, Giltay EJ, Van der Does AJ, “The efficacy of n-3 fatty acids DHA and EPA (fish oil) for perinatal depression,” The British Journal of Nutrition, 2010 Dec;104(11):1577-85. doi: 10.1017/S0007114510004125, Epub 2010 Nov 16. James M, Proudman S, Cleland L, “Fish oil and rheumatoid arthritis: past, present and future,” The Proceedings of the Nutrition Society, 2010 Aug;69(3):316-23, doi: 10.1017/S0029665110001564, Epub 2010 May 28. Fabian CJ, Kimler BF, Hursting SD, “Omega-3 fatty acids for breast cancer prevention and survivorship,” Breast Cancer Research, 2015 May 4;17:62, doi: 10.1186/s13058-015-0571-6. Safarinejad MR, Safarinejad S, “The roles of omega-3 and omega-6 fatty acids in idiopathic male infertility,” Asian Journal of Andrology, 2012 Jul;14(4):514-5, doi: 10.1038/aja.2012.46, Epub 2012 Jun 4. Balbás GM, Regaña MS, Millet PU, “Study on the use of omega-3 fatty acids as a therapeutic supplement in treatment of psoriasis,” Clinical, Cosmetic and Investigational Dermatology, 2011;4:73-7, doi: 10.2147/CCID.S17220. Epub 2011 Jun 20. Fristad MA, Young AS, Vesco AT, Nader ES, Healy KZ, Gardner W, Wolfson HL, Arnold LE, “A Randomized Controlled Trial of Individual Family Psychoeducational Psychotherapy and Omega-3 Fatty Acids in Youth with Subsyndromal Bipolar Disorder,” Child Adolescent Psychopharmacology, 2015 Dec;25(10):764-74, doi: 10.1089/cap.2015.0132. Ross BM, “Omega-3 polyunsaturated fatty acids and anxiety disorders,” Prostaglandins, Leukotrienes, and Essential Fatty Acids, 2009 Nov-Dec;81(5-6):309-12, doi: 10.1016/j.plefa.2009.10.004, Epub 2009 Nov 10. Kris-Etherton PM, Taylor DS, Yu-Poth S, et al, “Polyunsaturated fatty acids in the food chain in the United States,” The American Journal of Clinical Nutrition, 2000; 71 (1 Suppl): 179S–188S. Meyer BJ, “Are we consuming enough long chain omega-3 polyunsaturated fatty acids for optimal health?” Prostaglandins, Prostaglandins, Leukotrienes, and Essential Fatty Acids, 2011 Nov;85(5):275-80, doi: 10.1016/j.plefa.2011.04.010, Epub 2011 May 14. “Product Review: Fish Oil and Omega-3 Fatty Acid Supplements Review (Including Krill, Algae, Calamari, Green-lipped Mussel Oil),” ConsumerLab.com, Accessed January 20, 2016, https://www.consumerlab.com/reviews/fish_oil_supplements_review/omega3.